I’m a happily married guy living in Northeast Florida. I have three amazing kids and two dogs. I have a career that takes up lots of my time (duh), lots of kid-related activities, and not a whole lot of time to devote to swimbikerun. That said, I love competing in triathlon. Back in the day (read: Junior High and High School) I was a runner. Track & cross country. I grew up in Chapel Hill, NC, and was fortunate enough to run with some very talented kids. I was a middle distance runner (800m and 1600m) and was a pole vaulter (though not a good one). I had aspirations of running on the cross country team when I went to college at Appalachian State University, but no such luck. I took up cycling while in college. I was a Cat 4 racer, and enjoyed time trials and road races. Critieriums? Not so much. After college, I stopped cycling and running and became a couch potato. In the early 2000’s, I picked up running and cycling again. 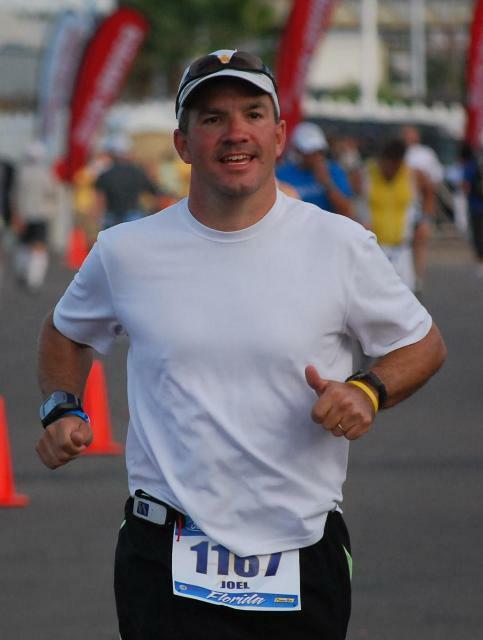 I competed in my first triathlon in 2006, and have been hooked ever since. I’ve competed at all of triathlon’s distances. 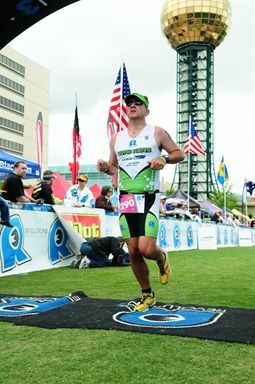 In 2009, I became an Ironman.